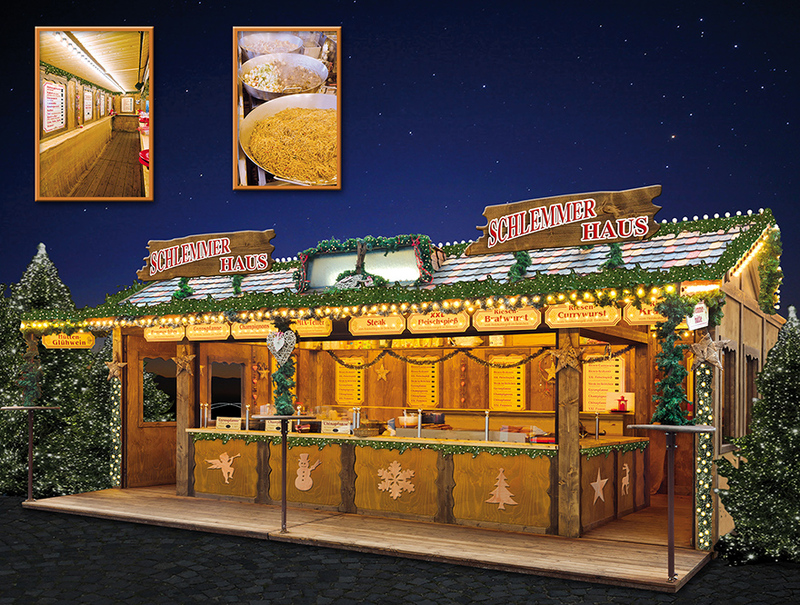 In our rustic Schlemmerhaus Christmas Market Hut we offer a comprehensive range of meat products from the charcoal grill. Including steak in bread rolls, giant bratwurst and currywurst, gyro spit, chinapanne, XXL meat skewer and much more. Vegetarian as well as champignons and French fries complete the offer.